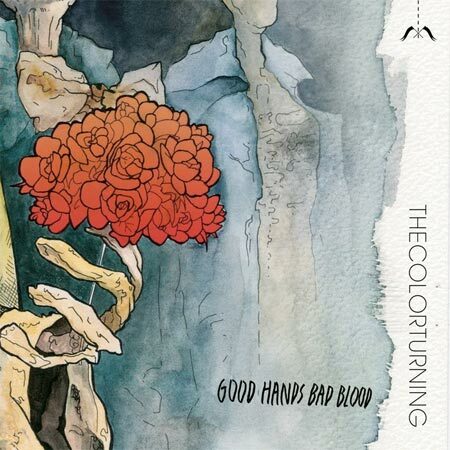 Rarely has one adjective so adequately described a piece of music more than the word “moody” describes The Color Turning’s debut LP, Good Hands Bad Blood. If you are able to move pass the beginning track, “Slow as Passing Cars,” with appropriately slow meandering guitars lines and minimal, borderline whiney vocals, building into grandiose orchestrations, please continue. It only gets moodier from here, but the slight rock n’ roll motions, paired with atmospheric swoons, makes it only a bit more interesting. One of the best songs is the second track, “Marionettes in Modern Times,” but ignore the lyrics (and in fact, ignore the track titles, all of which accent the borderline emo tendencies of this record). A similar example is “Phantom Parade,” which has potential to be a decent song, but is rather trashed by the poorly composed lyrics and vocals. While this album is colored (no pun intended) with bittersweet emotions and fanciful guitar work, it misses the mark. Where it could have soared into the outer limits, a la Explosions in the Sky, it stays too close to the ground with safe emo-tendencies. Instead of fanciful, it ends up being too safe, too everyday, and too ordinary. All of this is despite the fact that the band has been together for almost 10 years. The point thus being that this could have been, if toned down on the drama, a well put together post-rock record. The instrumentals are decent, and they even add some “unusual” instruments like the theremin and triangle into the mix on “Me Versus Me” (oh the drama), but once the vocals kick in it goes downhill. This record ends up being torn between the whinier moments and the more beautiful post rock movements. Despite having the clout of debuting on Scott Weiland’s Softdrive record label, Good Hands Bad Blood falls unfortunately flat. Luckily, this is only the beginning for a band like The Color Turning putting out their debut on a major, and perhaps another go round in the recording studio will churn out something a bit more inspired and more all around interesting.